May 6th, 2013 | News and Events, Wheaton World Wide Moving. 5. Keep your boxes as light as possible. It’s tempting to get big boxes and fill them up – that’s fine – as long as they’re under 30 pounds in weight. 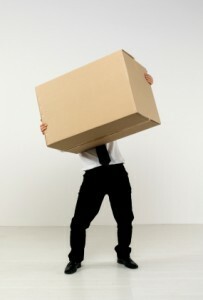 If boxes get much heavier than 30 pounds, it’s hard to lift them. You’re more prone to injuries, and the boxes have a great chance of breaking or bottoming out. To see more of Wheaton’s National Moving Month Tips, click here.